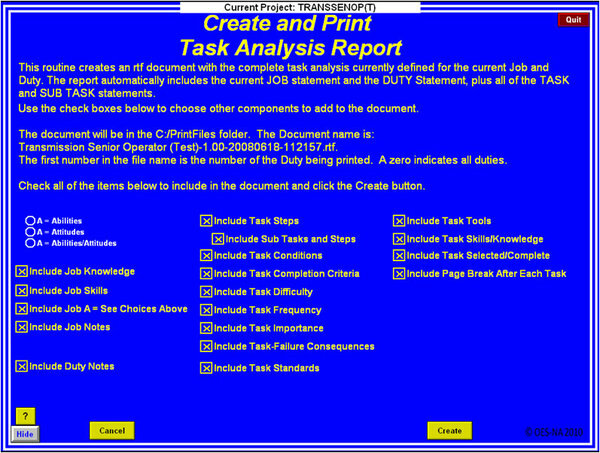 Easy to use Job Task Analysis authoring tool! 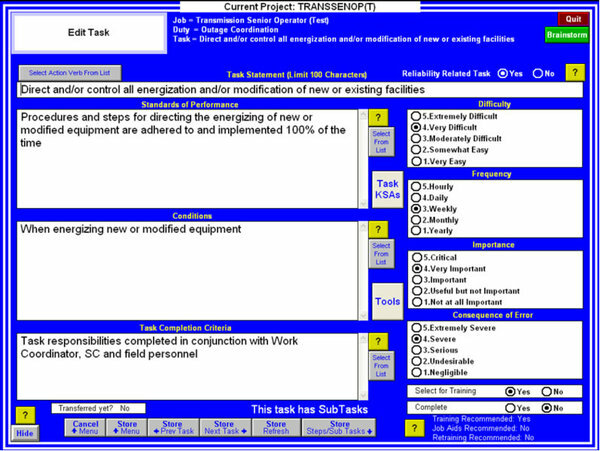 Whether it is for PER-005 compliance or just working on the development of a sound training program, it all starts with the Job Task Analysis. TASK TRAK© provides a quick and easy way for performing your JTA. This program was developed in an attempt to streamline the JTA data gathering process. TASK TRAK© can save time, efforts, and resources in getting the job done. When gathering JTA data from your subject matter experts, the information is entered directly into the TASK TRAK© tool. There is no time delay in waiting for data to be entered into other software to produce documents for review. Documents for review are immediately available at any point in the data gathering process. Is the task a Reliability Related task? What are the Standards of Performance for completing the task? What are the Conditions under which the task is performed? What is the Task Completion Criteria for completing the task as an individual or as part of a team? What are the Steps for completing the task? What is the Difficulty of performing the task? What is the Frequency of performing the task? What is the Importance of the task? What is the Consequence of Error in not performing the task correctly? 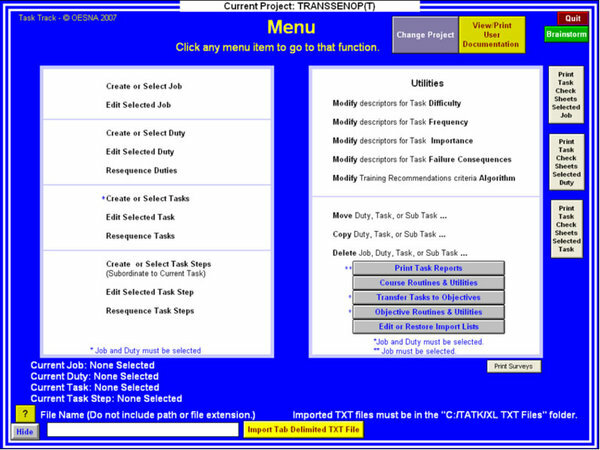 Whether or not the task should be selected for Initial Training?